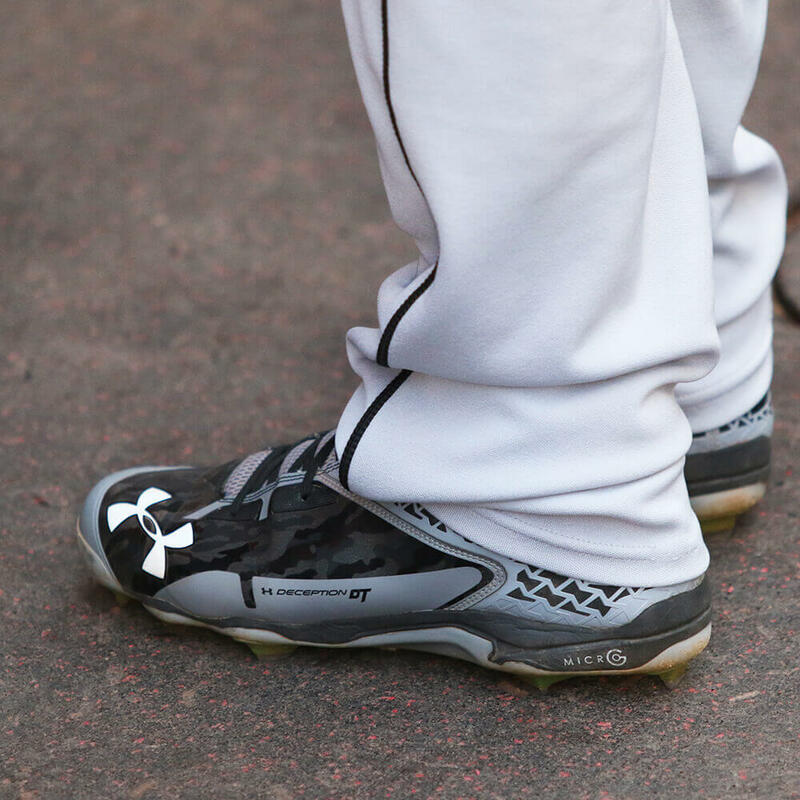 Todd Frazier rocks the first version of the Under Armour Deception DT, and he has since they came out in 2015. 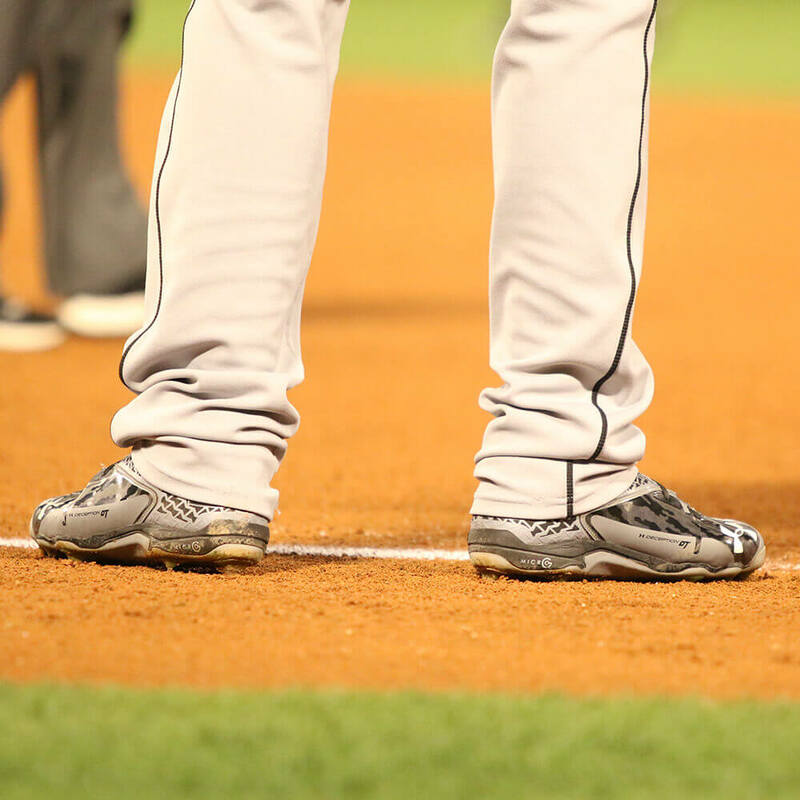 He wears metals and every once in a while, he pulls the pant legs up to give us a look. These are available in a similar color. 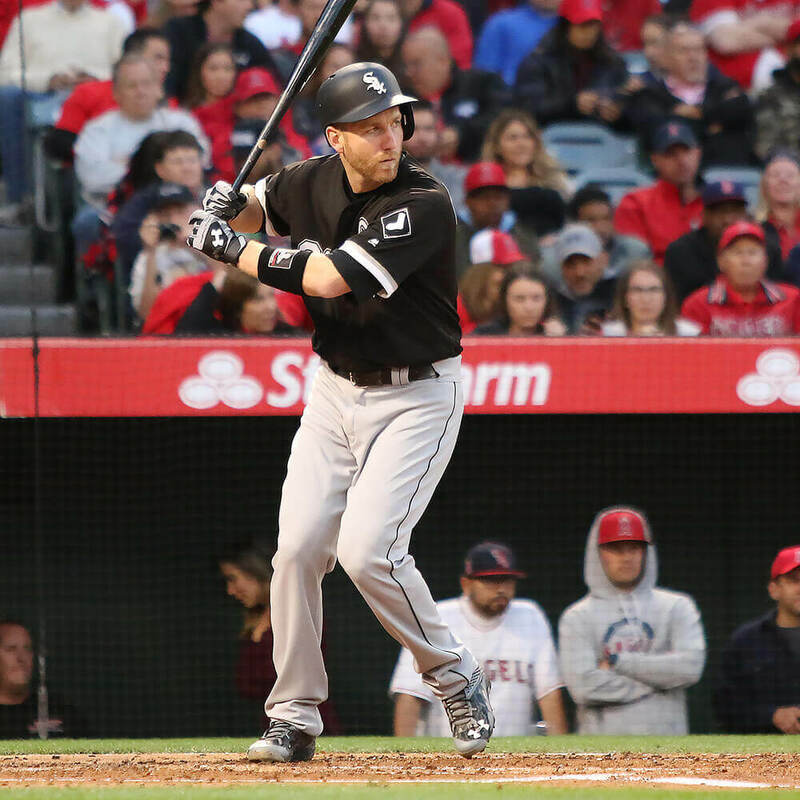 Categories: Todd Frazier, Gear, Cleats, Third Base, Chicago White Sox.